The hospital complex at Little France in Edinburgh will provide the Royal Hospital for Sick Children, the department of clinical neurosciences and the child and adolescent mental health services with a purpose-built location that consolidates three key departments on one central site in the city. 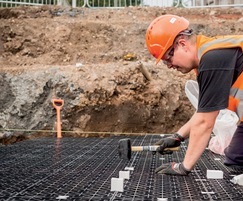 An intelligent sub-base replacement design was needed to store the appropriate level of water, above the high water table, that gathers on the site during heavy rainfall. 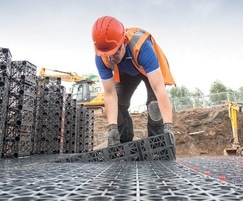 Following discussions with Polypipe’s technical team, the Permavoid geocellular system was chosen by the project consultant engineer as the primary engineered solution. 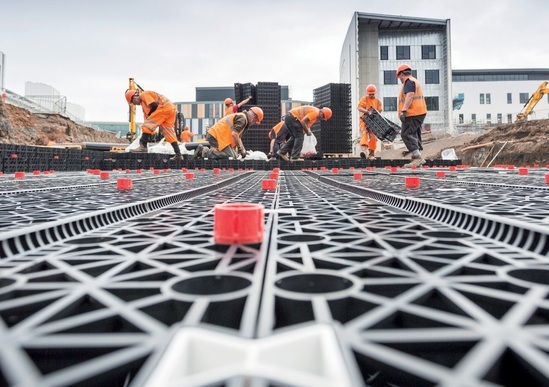 In addition, Polypipe supplied the additional attenuation tank using components from its Polystorm range, which included Polystorm-R, Polystorm Inspect and Polystorm Access. 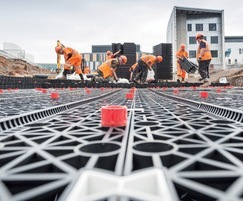 The 11 shallow geocellular attenuation tanks hold a combined volume of up to 2020m3, and were installed under parking bays and entrances, including the hospital’s Accident and Emergency. 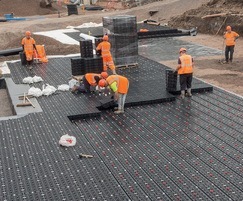 The Permavoid tanks were placed beneath permeable and non-permeable paving, wrapped in geomembrane to make them watertight for attenuation. 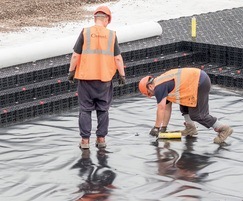 Permatex, a polypropylene geotextile, was installed between the Permavoid layers to ensure passive water infiltration into the tanks. 10 of the tanks used Permavoid 150mm to hold a volume of up to 1780m3, with one tank using a combination of Polystorm-R with Polystorm Access, and Polystorm Inspect, supplying a further 240m3 volume tank. With adjoining hospital departments needing to remain open and accessible during construction, a carefully co-ordinated delivery schedule for the products on site needed to be devised between Polypipe, the selected merchant PDM and the onsite project managers to minimise disruption to patients and medical staff.